Ever wonder how Genetics plays into Blood types? Blood type, an inherited characteristic, has use in everything from forensic investigations to medical procedures. 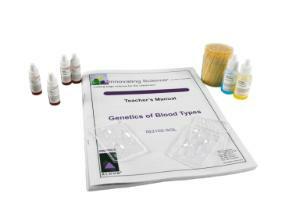 In this activity, students will learn about the genetics that determine blood type and the possible inheritance patterns and how they express themselves. Students will use Innovating Science's new simulated blood to determine the blood type of four unknown samples and use their results to assist in the resolution of a fictional paternity dispute.